Frank N. Stein and his friends are trying to satisfy their hunger with some delicious monster snacks! They keep looking for food to eat in the enchanted forest. But there’s a catch: the forest will make the food edible only when you find pairs of the same snack tiles. 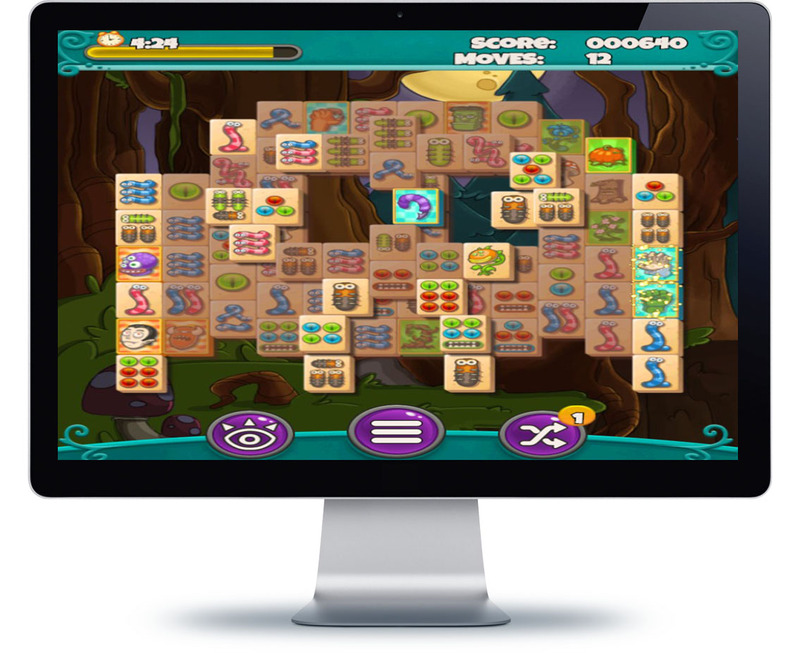 Come give the monsters a hand by matching two of the same stones and trying to clear the field as quickly as possible in this scary fun Mahjong game. Your goal is to match two tiles that have the same picture. Simply select the specific tiles you want by clicking on them, and they will be removed from the board once you make a match. The Mahjong board will be laid out in a specific way where only certain tiles will be free to click on at any given point. Once the top layers start disappearing, the tiles under them will then become available. If you run out of matches, you have one chance to shuffle the board. You want to clear the field as quickly as possible, which will allow you to level up. Try to finish as many levels as you can before time runs out!